Voss’s laburnum is a small tree with a vase-shaped crown which reaches a height of perhaps 5-7 meters. In spring the tree is covered in long, golden yellow pendulous bunches of flowers. 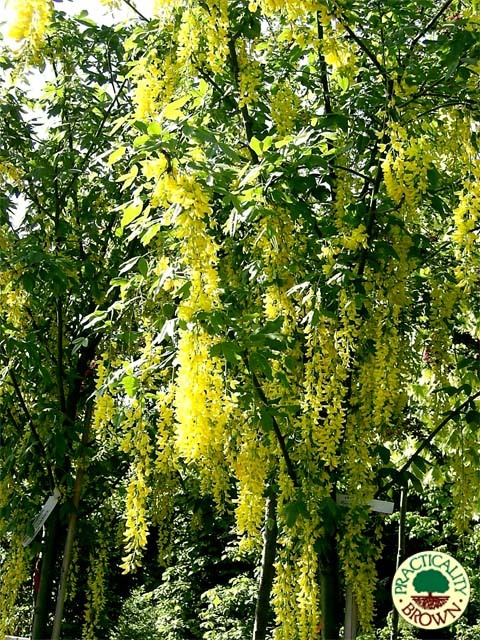 Laburnum x watereri Vossii is an easy tree to grow which performs well on a wide range of soil types.